The Joint Investigation Team (JIT), which has been tasked with probing the family of Pakistan Prime Minister Nawaz Sharif for their offshore properties has received the records of the Hudaibya Paper Mills. The JIT has said that it would place its latest report on the matter before the Supreme Court of Pakistan on 7 June. Abid Hussain, Executive Director of the Secu­rities and Exchange Com­mission of Pakistan (SECP) handed over the Hudaibya Paper Mills records to the JIT, the Dawn has reported. Meanwhile, a letter by Qatar's former prime minister, Hamad Bin Jassim Bin Jaber Al-Thani was also examined by the Joint Investigation Team (JIT) probing the prime minister's family's financial dealings abroad. The prime minister's legal team has so far produced two letters from the Qatari prince in a bid to establish a money trail of the London properties. 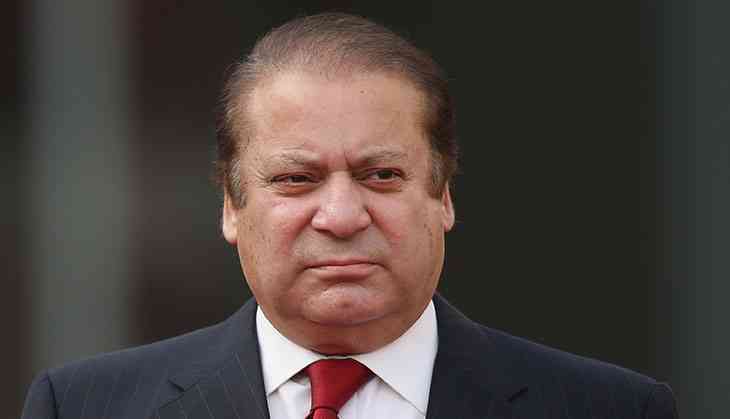 The Hudabaya Paper Mills case looks at money laundering allegations against the prime minister's family, and the records handed over to the JIT includes a confessional statement recorded by Finance Minister Ishaq Dar in 2000, in which he had 'confessed' to laundering Rs1.2 billion and opening fake bank accounts at the behest of the Sharif family. Mr Dar had later retracted the statement claiming that it had been extracted under duress. Pakistan's retired President General Pervez Musharraf had implicated the Sharif family in three corruption cases including the Hudaibya Paper Mills which was allegedly used as a cover for money laundering during the late 1990s. The case came to the forefront when a five-judge bench, headed by Justice Asif Saeed Khosa, took up the Pakistan Tehreek-i-Insaf's plea seeking Mr Dar's disqualification as finance minister on charges of facilitating the Sharif family in allegedly laundering Rs1.2 billion. The SECP had already provided the investigation team the annual returns, financial reports of the Hudaibya Paper Mills, details of its authorised and paid-up capital each year, and details of shareholders as well as owners and directors. In November last year, the Sharif family revealed that the four London apartments were purchased through offshore investments involving a member of the Qatari royal family. A letter written by the Qatari prince claimed that the London properties were purchased from the proceeds of their real estate businesses in which the prime minister's father, Mian Muhammad Sharif, had invested 12 million dirhams in 1980.